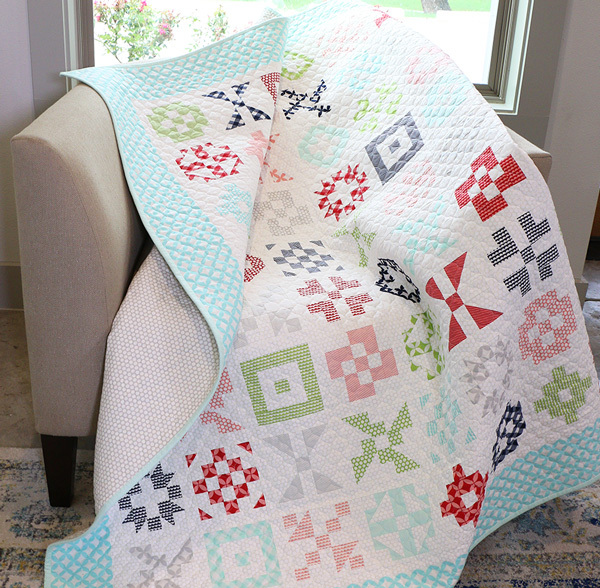 Have you heard about Matchbox Quilts yet? A fun and cheerful charm pack + exclusive pattern to use it. An adorable tin, which I'm going to use right away. That 'quilt pop up' media for the phone.. i have wanted to try those FOREVER.. and.. drum roll... The Matchbox quilt!! I'll show you more of that below. AND the discount that is exclusive for club members. woohoo! this is the most fun EVER!!!! And the box is big enough to use afterwards to store things! This is a printed panel to make a 6" mini quilt. Directions on the panel, pink strip on right side is the binding, comes with batting & floss to hand quilt it and is so cute! 9 different ones and the just KNEW I needed the pink one! I LOVE the alphabet. .. like.. REALLY love it! so... MORE Cuteness in that the Spelling Bee book is HERE with darling projects! Since last month I've done a lot of work projects.. many that are coming up in the future. But here are a few things I want to do in October, you might call them my Oct goals! Start a hand applique project to take with me, I know what it is that I want to do! More exercise is starting to happen, now for stretching, I ordered a mat! FIRST... my talk show didn't happen Monday afternoon due to a technology issue. Most of my shows are recorded live, and this was one of them. So that means a lot of scrambling and my guests are all amazing as they jumped right in to select new show dates.. so you'll hear them all in Nov! On to the Charity block for this month. I am so excited that the donations has been fabulous this year! What an honor to sew with all of you & I thank the Fat Quarter shop & Moda fabrics for these fun ways for us quilters to support Make a Wish this year. The Patchwork Quilt Along is a year full of quilting fun for a great cause. I created the darling blocks in a totally different colorway than the original. And a peek at the binding I decided on!